Join the Liberti Church Theology Book Club! For those of us that are Christians, we come to church on Sundays to get re-grounded and re-oriented in the rhythms and truths of the Christian life. Many of us also try and live life in various small groups and Bible Studies throughout the week in order to press these truths all the more deeply in our hearts and communities. But still, some of us are wired to wrestle with big ideas in a different way. That’s why at my church we’re starting the Liberti Theology Book Club: a way to walk with others through different perspectives and insights on theology, the Bible, and Christian thought. It’s been designed to take up as little of your time as needed, while also letting us really work through some deeper and harder parts of faith. Also, because of the decentralized nature of it, anyone across the country can join in! Each month or two we’ll go through a book as a group (depending on the length). People will read the book at their leisure and at their own pace. Through the month I will blog through the book. You can follow along and comment here on the blog or in the Facebook group. On the final Sunday of every month, readers in Philadelphia will meet for a night of wine, hors d’oeuvres, and discussion of the book and its themes (here’s the Facebook event page). For this first month, we are reading one of the most important books I’ve ever read: How (Not) To Be Secular by the philosopher James K.A. Smith. 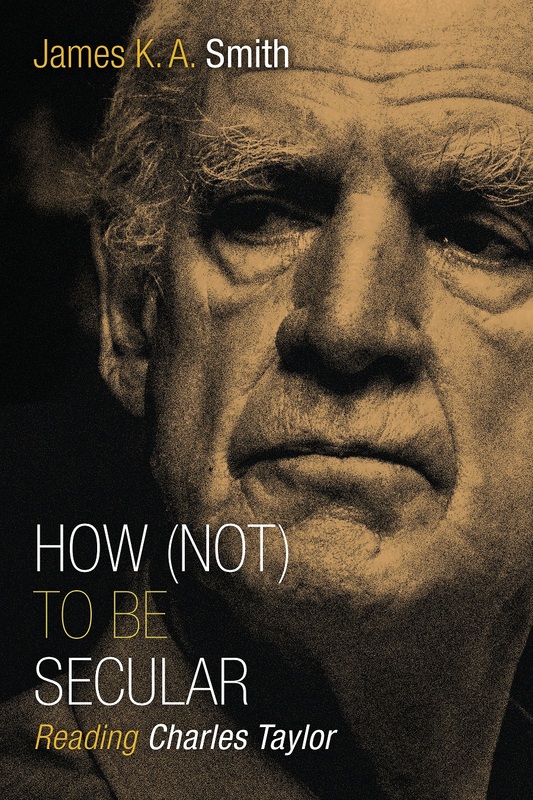 Well, to be more particular, the important book is the one about which Smith writes: Charles Taylor’s massive tome A Secular Age. Smith’s book is a clear, 140-page condensation of Taylor’s 900-page philosophy book. Smith feels (and rightfully so, in my estimation) that Taylor’s book is too important to remain primarily accessible to academics and deserves to be communicated to as broad an audience as possible. And so he wrote this book. What makes the book so important? Well, I’ll go more into it in my first post about it later this week, but it gives name and context to the world in which we live in now. More than any other text I know, it cuts through the fog of our current age to talk about what people believe, how they believe it, and what it means to inhabit Christian faith. It refuses to be reductionist or fundamentalist in its thought. In short, if you want to understand your own place in this world–whether you believe, doubt, seek, or disbelief–you must contend with the ideas in this book. It is history, theology, sociology, philosophy, and psychology all rolled up into one package. So pick up the book, read it, keep up with the discussion, and join us on July 31st at 5:30pm. Cool idea. Is there a reading schedule you’re going by with your blog posts? I ask so I can make sure I’m caught up with where you are when you’re post. I started this and then put it down when we moved a few months ago, and I’d love to read along with you.